← WHAT WOULD CHICK-FIL-A DO? 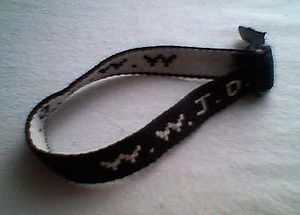 Libya and the Middle East WWJD? The news of the death of Chris Stevens , ambassador to Libya at the hands of terrorists on Sept. 11, rocked America‘s world once again eleven years after a the horrific attack on the World Trade Center. 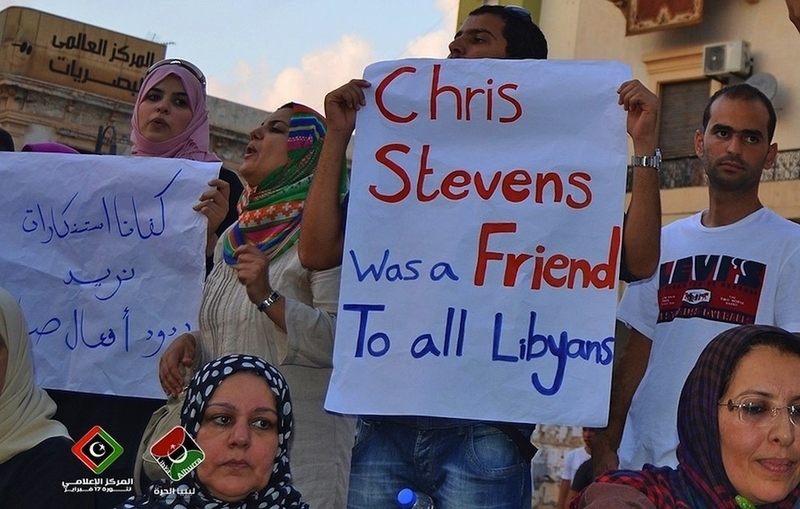 Stevens believed after the terror reign of Muammar el Qaddafi, with the support of the U.S., Libya could develop into a more democratic country. He worked tirelessly to create circles of trust to develop the resources that would help Libya achieve that state. The doctors who tried in vain to save him had eyes filled with tears as they realized what they lost at the hands of rebel countrymen who killed four Americans that day at the American Consulate. America gives hundreds of millions of dollars to countries like Libya and Egypt annually and although the attack on the American consulate might have been described as a reaction to an American film which insulted Mohammed, military but nearly everyone recognizes the lie in that excuse. This was a well planned attack and within hours of this attack, other embassies in the Middle East and North Africa fell under attack from rebels in those countries. A huge question arises about the U.S. role in foreign countries; one Christians cannot choose to ignore; Where does our moral compass lie financially when it comes to supporting fledgling governments trying to rise above political turmoil, upheaval and oppression? There are obviously good and moral individuals from Libya, Egypt, Iran and countless other countries where protests against the U.S. have ignited. Many of those people reside within our country as well as those who still live in the areas where their ugly countrymen are violating everything American. It would be foolish to believe there are not ugly Americans as well in our own country as well as other countries. The moral fiber of individuals is often not necessarily determined by country of origin. Do we have an obligation to “save” those in countries where factions exist who not only do not welcome our aid but actually despise it? Are these actions signs from God to change direction and address issues within our our country or signs to test our willingness to go out on a limb for our fellowman? The crisis in the middle East has existed from the dawn of time and in a biblical perspective can be part of God’s bigger plan. He has warned us of what will happen before He returns but He did not suggest we ignore the crisis or get involved. He left that up to our free will. Daily, countless missionaries lay down their lives to spread the gospel. 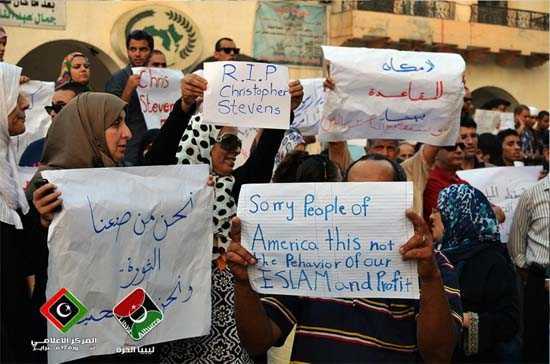 Chris Stevens gave his to spread goodwill in re-building a country trying to recover from political oppression. It is difficult and painful to see a purpose in offering good will while observing our nation’s flag being desecrated and our country’s leaders burned in effigy. It was difficult and painful for Christ to face His death at the hands of His own people as well. The names and the places may have changed but ugly people with ugly behavior have always been in our midst. So what should we really do now? Retreat? Seek military intervention? Ignore it? Exercise sanctions? Simply move on? Abandon our efforts? Re-consider options? All or none of these? I am just not certain the answer is as transparent as it was many centuries ago. This entry was posted in Uncategorized and tagged American Embassy, Chris Stevens, Egypt, Libya, Middle East, Muammar Gaddafi. Bookmark the permalink. 3 Responses to Libya and the Middle East WWJD? This is great! I loved the What Would Chick-Fil-A do as well. Keep up the excellent writing. Thanks for stopping by and sharing your thoughts and kind words, Cheryl. It is always encouraging to have someone enjoy your writing! Indeed! i would love it if you took a minute to check out my blog as well.